Muhammad Ali Jinnah (1876 – 1948) was an ardent supporter and a strong proponent of a separate state for Muslims of the sub-continent based on Islamic values and teachings. 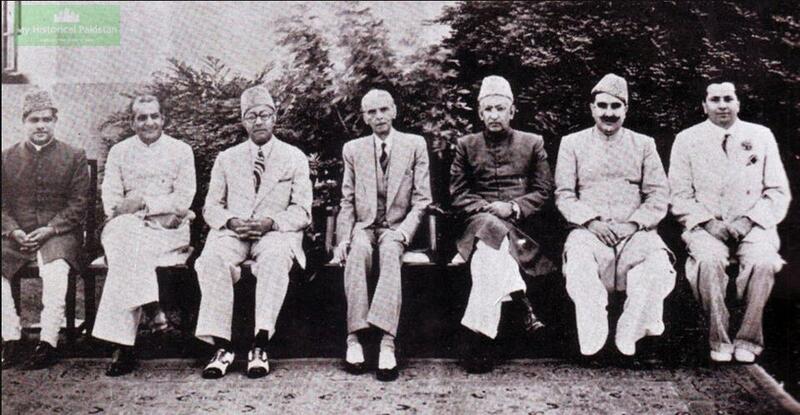 The able leadership and struggle of Quaid e Azam Muhammad Ali Jinnah, culminating in the creation of Pakistan on 14th August 1947 as an independent Islamic republic, brought unprecedented vitality to the Muslims of the sub-continent producing in its wake an Islamic renaissance and Islamic idealism. Muhammad Ali Jinnah’s pre-occupation with political issues left him little time to devote himself to writing; but his speeches and sayings have been compiled by his staff and admirers into a series of volumes. They are all permeated with the need to establish an Islamic Republic for the 100 million Muslims of British India. Muhammad Ali Jinnah firmly believed in Islam as a ‘dynamic religion and a way of life’. “The discipline of the Ramadan fasting and prayers will culminate today in an immortal meekness of the heart before God”, he said in a broadcast speech on Eid day, “but it shall not be the meekness of a week heart, and they who would think so are doing wrong both to God and to the Prophet. It is the outstanding paradox of all religions that the humble shall be the strong, and it is of particular significance in the case of Islam. For Islam, as you all know, really means action. Quaid e Azam Muhammad Ali Jinnah’s liberal passion for Islam had a long lasting impact on the minds and souls of the 100 million Muslims struggling for a separate Muslim state, turning their intellectual activities towards tackling traditional Islamic ideals in terms of modern standards and requirements. Religion for Muhammad Ali Jinnah implied not only as a duty towards God but also as a duty to Mankind. “In proposing this scheme, I have had one underlying principle in mind, the principle of Muslim democracy. It is my belief that our salvation lies in following the golden rule of conduct set for us by our great law-giver the Prophet of Islam. Let us lay the foundations of our democracy on the basis of truly Islamic ideals and principles”. The great Quaid Muhammad Ali Jinnah championed the cause of womanhood, advocating for women an equal share with men in social and national life as per the Islamic teachings. 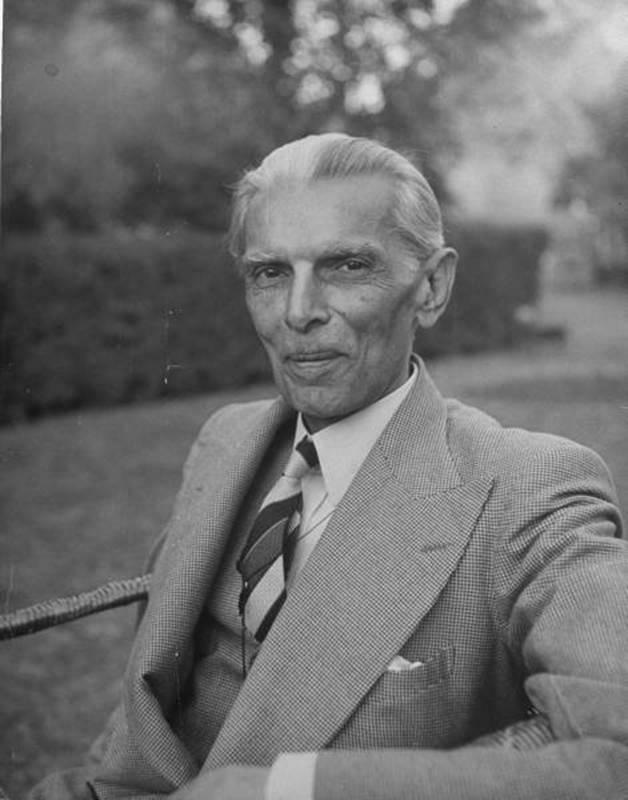 Jinnah’s dream for Pakistan was based on the principles of social justice, brotherhood and equality, which he aimed to achieve under his motto of “Faith, Unity, and Discipline.” Jinnah’s successors were tasked with consolidating the nation of Pakistan that Jinnah had so determinedly established. Let us commemorate 25th December 2013 as the 137th birth anniversary of Quaid-e-Azam Muhammad Ali Jinnah, Founder of the Islamic Republic of Pakistan. Let us implement his guidelines and legacies in letter and spirit. The remembrance starts with changing cover photos, symbolizing regard for the statesman Jinnah. 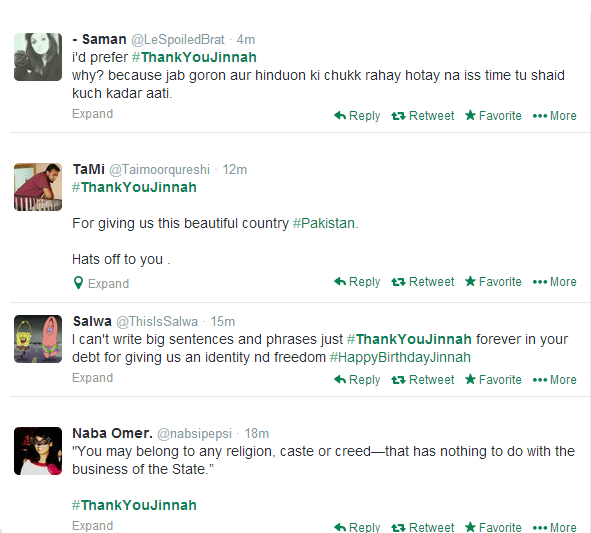 While on Twitter #ThankYouJinnah and #ImSorryJinnah are the top trends in Pakistan.